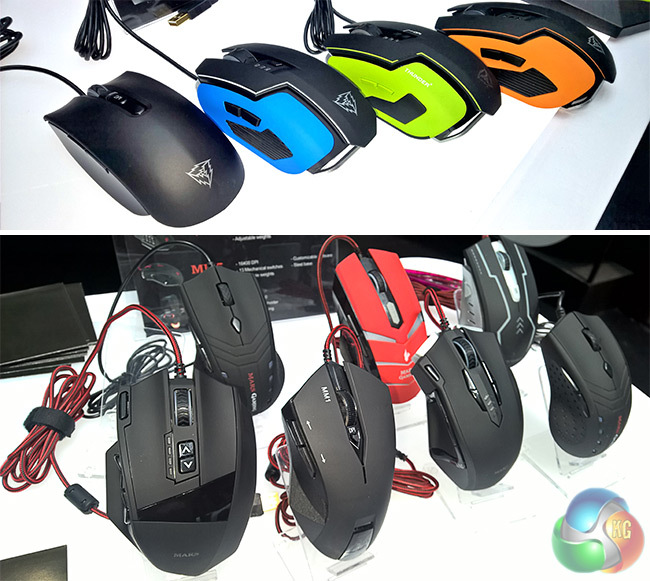 The Computex trade show spans multiple locations in Taipei. Most of the main brands will occupy the huge, purpose built Nangang centre, while others take space in 101 or the Hyatt hotel. Local companies still exhibit in the World Trade Centre (WTC) and it was here that we found Aerocool tucked away on our last day. 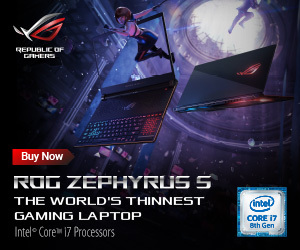 Once located, we were genuinely surprised at the sheer volume of new products Aerocool is launching in the coming months. 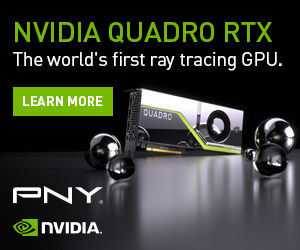 Mostly under the ThunderX3 brand, it seems. 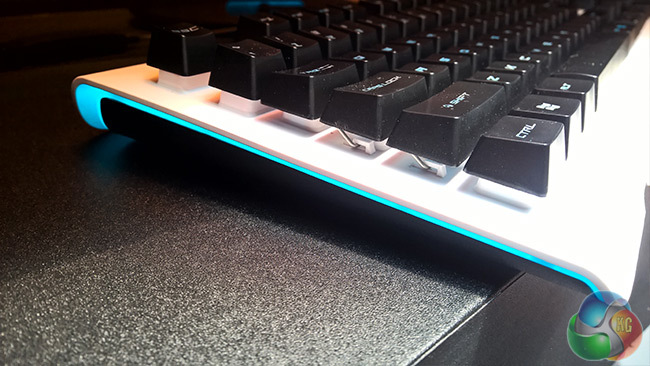 With 7 backlight colours, a hybrid-mechanical keyboard and 19 key anti-ghosting, the ThunderX3 TK30-B/S keyboard looks decent and does a nice ‘amBX style light show’ on your desk. 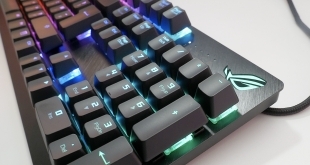 Macro settings can be customised and there is 512kb of on-board memory as well as UV coated key caps, 1,000Hz report rate and gold plated connectors. The TH30 headsets seen here have 53mm deep bass drivers, ear pads that have been designed for extended gaming with a detachable/flexible microphone and adjustable EQ. There is an upgraded version called the THD30 which also offers virtual 7.1 audio, 7 LED backlight effects and a smart remote control box. The build quality feels good and they seem comfortable to wear. There will also be the TIH50 and TIH30 earphones with 10mm deep bass drivers, durable metal ear buds and super clear vibes for powerful beats. They also claim to offer the best passive noise cancellation technology in the market. Bold claim. 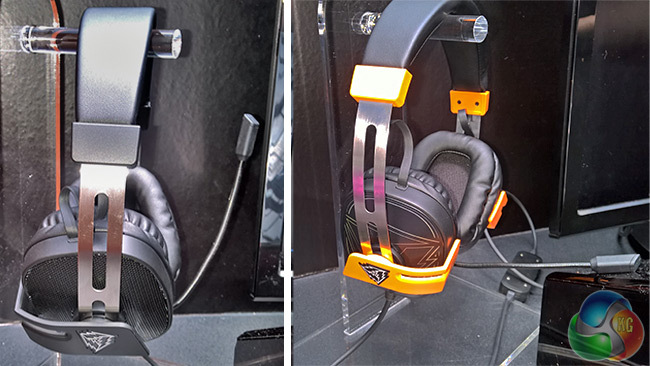 For those who want a slicker, more substantial headset, then you’re likely to find the Aerocool Mars Gaming series more appealing. 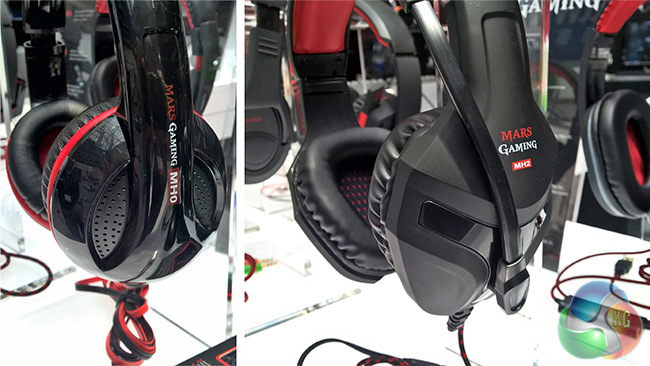 The MH0 was OK when we tried it, but the MH2 was extremely comfortable. 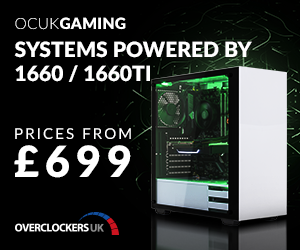 There’s half a chance that the red and black design will match your gaming mainboard etc. Gamer are a hardy bunch, not often thinking as much about their health in the real world as they do hit points in a science fantasy realm. Speak with an optician and there’s half a chance that they will suggest special glasses for gamers – designed to reduce eye strain. Aerocool has this base covered with a selection of protective eye-wear to keep your vision healthy. Including units that will go over regular glasses. Then we come to the mice. An entire football squad of options for gamers to choose from. 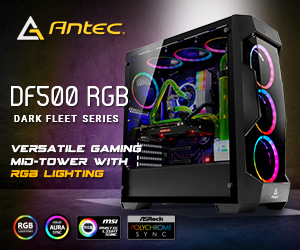 Each and every kind of innovation that you’ve seen over the past 10 years is likely to be well represented in Aerocool’s ThunderX3 product line up. We haven’t finished yet. 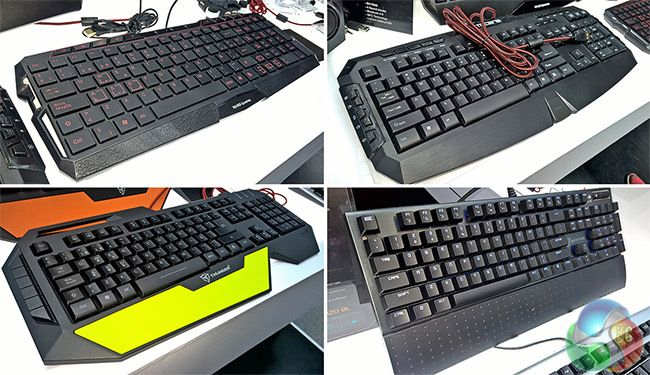 Here’s a selection of the gaming keyboards that will follow. Finally, we have seen ‘chord carrying scorpions’ in the past, but the integration of multiple USB ports on this chap seems like a very sensible idea. 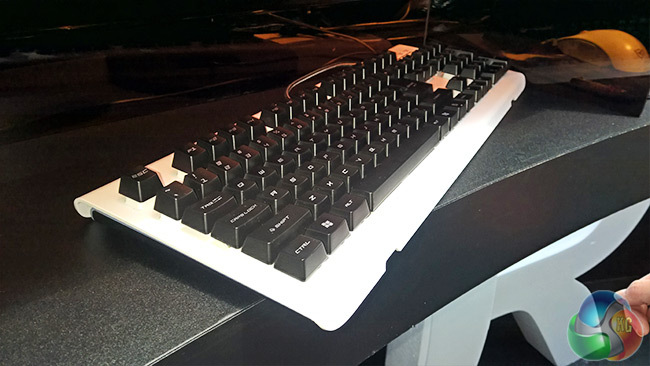 KitGuru says: Most companies are happy to launch one or two products at Computex. 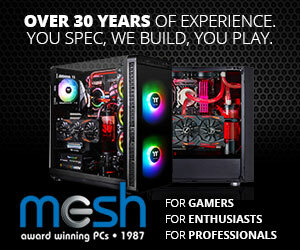 Aerocool clearly believes that it has a lot of catching up to do. While we won’t know if there are ‘killer products’ in the mix until we have tested them, none of the new ThunderX3 products looked or felt ‘wrong’. The overall standard was good – and the addition of colour flashes means that owners of a DS chassis will be able to coordinate their gaming look.